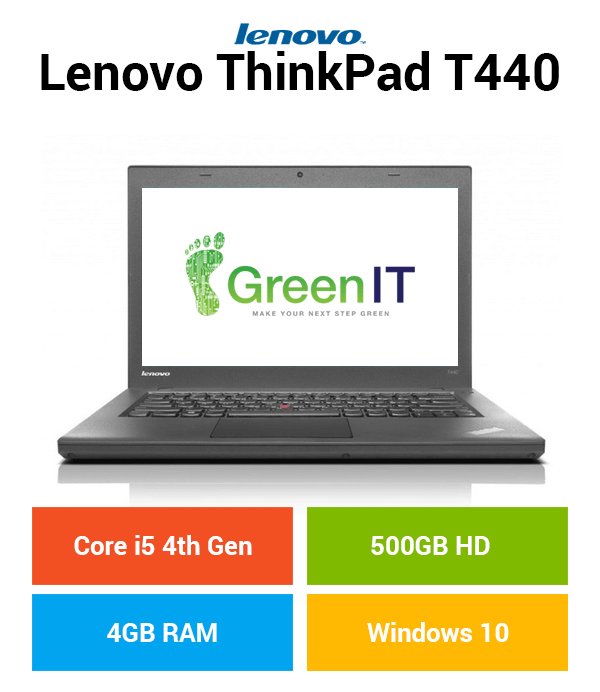 The Lenovo ThinkPad T440 is a great laptop for anyone who is always on the go especially professionals and students. Its also great for families who just want to surf the web, such as social media sites and watching online content such as music videos and movies. At GreenIT we pride ourselves on the quality of our refurbished products which have been tested thoroughly to make sure they are of the highest standard possible so the customer has a quality product by the time they receive it. 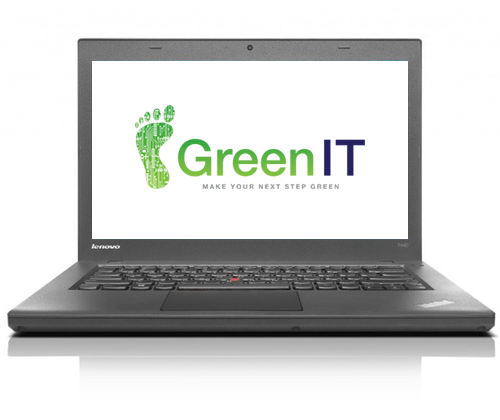 Green IT offers very reasonable rates on RAM and SSD Upgrades please contact our dedicated sales team on sales@greenit.ie for further information. System has been recently removed from service in a corporate environment. It has been refurbished which means that it will be in great working condition, checked and tested. It may have minor scratches or wear from previous use. Any cosmetic imperfections will not affect the performance of this computer. Here at Green IT we do our best to provide a seamless ordering process we normally arrange orders the same day unless the stock levels indicate that they are on “back order” which can add additional days to delivery date.